This hotel features a prime location in Sofia city centre, close to different subway stations which provide easy access to other areas. Guests will also find themselves just a few steps from some of the most important tourist attractions, including Alejandro Nevski Cathedral, or Ivan Vazov National Theatre. This city hotel is set in a beautiful building and has unique interiors combining the best of contemporary design and a classic style. Guests will find a choice of different room types to suit all kind of travellers’ needs, ranging from the charming Comfort room decorated with mahogany furniture to the luxurious Deluxe Suite for those sophisticated visitors who prefer a bit more space. Business travellers can take advantage of the meeting facilities featuring a stylish atmosphere, and the onsite dining options include a restaurant which serves a selection of traditional Bulgarian cuisine. This stylish and charming hotel offers high quality service and comfort in the very heart of the city of Sofia, just 50 metres from the famous Vitosha Boulevard and close to functional public transport connections and many historical and cultural sightseeing attractions. The hotel offers comfortable rooms and luxurious apartments with a unique design to help guests enjoy a memorable and relaxing stay. They count with a richly stocked mini-bar, central air conditioning and complimentary in-room Wi-Fi connection for guests to keep updated. The establishment’s high quality standards satisfy the most demanding guests, and the services include room service and free buffet breakfast, as well as a restaurant and conference hall. This unique combination of convenient location and spectacular facilities makes this hotel an attractive place to stay for both business clients and groups of tourists. This hotel boasts a great location at the heart of Sofia. The hotel is situated close to the train station, lying within easy access of the many attractions that the city has to offer. An abundance of bars, restaurants, shops and entertainment venues are to be found just a short distance away. This wonderful hotel exudes elegance and charm, welcoming guests into the decadent surroundings of the lobby. The guest rooms are tastefully appointed, and come complete with modern amenities for added comfort and convenience. Guests are invited to enjoy an energetic workout in the gym, followed by rejuvenating treatments in the spa. For a truly enjoyable experience in Sofia, this hotel is the only option. The new 4-star Central Hotel Sofia is opened at august 2015 and located in the Bulgarian's capital city centre where most cultural attractions are. 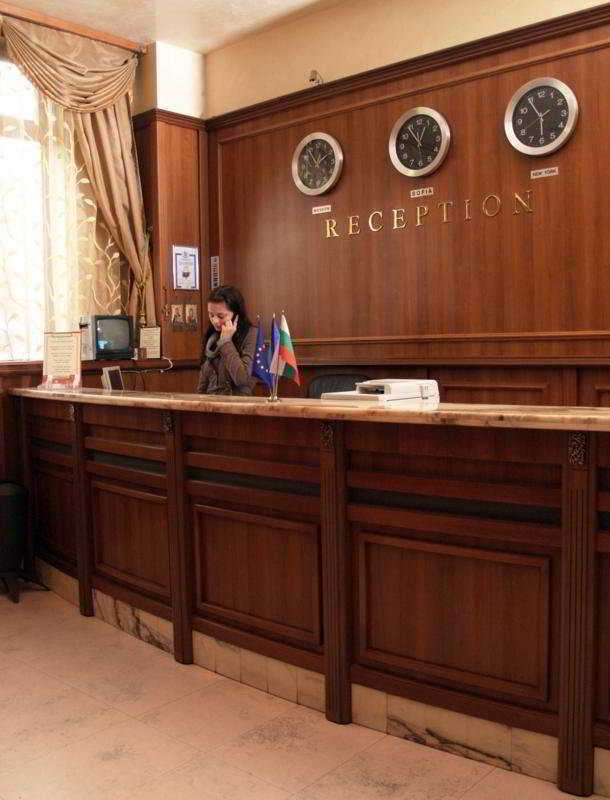 With an easy access to all the key sites in Sofia the hotel is suitable for both leisure and business travellers. Central Hotel accommodates a high standard of luxury and comfort, that are vital for today's modern and stylish living. The design involves pleasant atmosphere which is mixed with chic living standards typical to the welcoming Bulgarian hospitality and the fabulous service which is satisfying even the most demanding guests.Within a great location in an easy walking distance to one of the major metro stations ‘Serdika' and shopping street – Vitosha Boulevard that also accommodates bars and restaurants, the hotel is located near major administrative, cultural and tourist sites and attractions. Moreover, the hotel has an easy access to the Sofia International Airport (15km/9miles).Central Hotel Sofia provides 70 luxury and spacious rooms that offer a relaxing, soft and stylish environment and complementary welcome set for the hotel's guests. All the hotel rooms suggest a wide variety of in-room facilities: 'smart home' energy-saving system, air-conditioning, mini bar, blackout curtains, satellite TV channels, and in-room safe. Furthermore, the hotel is taking care of all the business guests while providing them with free WiFi and brand new flat HD TV, bathroom with shower, apartments have shower or bathtub, a toilet and a hairdryer.The Central Restaurant could accommodate to 100 guests and offer them stylish interior, a great range of Bulgarian and International cuisine, hot and cold drinks and a professional service. 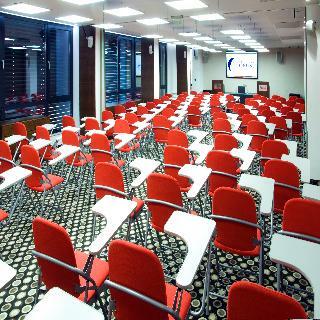 This attractive, modern hotel is located in a quiet and reputable neighbourhood of Sofia known as ‘Student City,' surrounded by green parks, universities, and embassies. Guests will appreciate great connections to the city centre and financial district via metro, and will be spoilt for choice when it comes to entertainment, with plenty of shops, nightclubs, and even Sofia Zoo nearby.The hotel provides a range of rooms, suites and apartments, all elegantly decorated in contemporary style with kitchenette and work space with internet access. The two restaurants serve healthy and satisfying Italian dishes and Bulgarian specialties, and three bars offer refreshing drinks and snacks. Guests can unwind after a busy day in the wellness centre, complete with gym, sauna, steam bath, solarium, tennis courts and indoor pool in addition to massage services, making this an excellent place to stay on a relaxing holiday. Business Hotel Akord is one kilometer away from the centre of Sofia, in close proximity to Bulgarian capital's international airport, the Central Train Station and the Central Bus Station.Akord is a splendid and cozy business-class hotel, located literally one click away from many historical and present-day landmarks of Bulgaria's capital. Only in a few minutes drive or walk you can easily reach places like the St Alexander Nevski Cathedral – one of the beauties and most remarkable religious and architectural monuments in Sofia, the National Art Gallery (former Royal Palace), the National Gallery for Foreign Art, the National Assembly (the country's parliament building), Sofia University St Kliment Ohirdski and the newest and largest in Bulgaria shopping mall – Serdica Center.Business Hotel Akord is adjacent to the main financial and business districts in Sofia, close to some main boulevards and yet securing comfort and silent accommodation necessary for the combination of a business trip and relaxation. Akord offers elegantly designed guestrooms, tastefully furnished and equipped with modern amenities. This city hotel is situated at the southeast entrance to Sofia, on the main boulevard leading to the city centre. 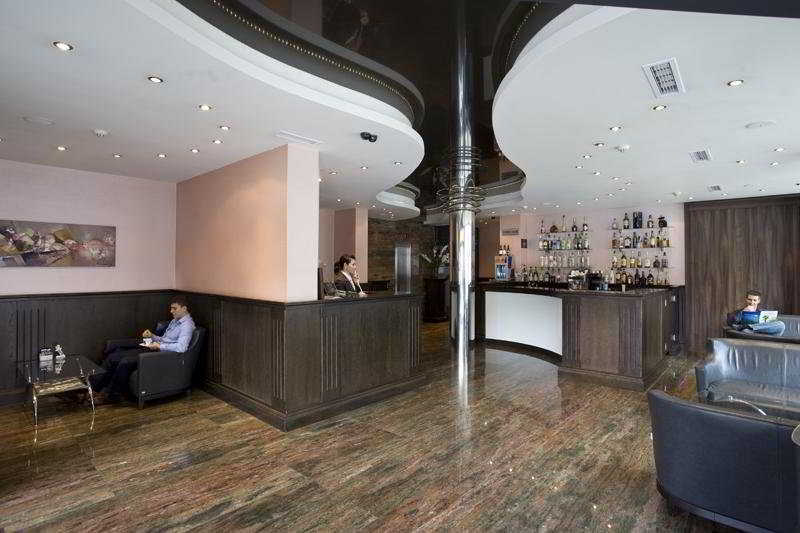 The hotel lies close to Sofia's business district and to the international exhibition centre. Its immediate vicinity is home to links to the public transport network, providing easy access to the centre of town, which lies some 10 km away (a 15-minute journey). Once in the centre of Sofia, guests can go shopping or visit a number of attractions, including the National History Museum (8 km), St. Alexander Nevski Cathedral (10 km), Ivan Vazov National Theatre (11 km) and the National Palace of Culture (15 km). Sofia Airport is close to the hotel.Fully renovated in 2008, this exquisite and cosy hotel will surprise guests with its elegant style, luxurious interior and modern interpretation of classic elements. The establishment comprises a total of 101 guest rooms and features a lobby with a 24-hour reception and check-out service and a hotel safe, as well as lift access, an on-site cafe and restaurant and Internet access. Room and laundry services are provided and guests arriving by car can leave their vehicles in the car park. Younger guests can let off some steam in the children's playground.The hotel's guest rooms are unique in design and decor. They are all well-appointed and come with an en suite bathroom with a shower. The rooms are equipped with a direct dial telephone,an aircondition,a safety box, an LCD TV with satellite channels and central heating. The beds are double or king-size.The hotel offers bed and breakfast stays including a breakfast buffet. 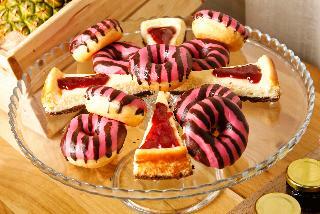 Midday and evening meals can be selected from an à la carte menu. 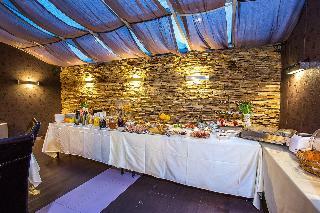 This charming hotel enjoys a central location in the cultural and administrative heart of the city. It is a 5-minute walk from the inner-city area, a 10-minute walk from the shopping area and roughly a 5- or 8-minute walk from the Central Bus Station and Central Train Station, respectively. The Vitosha ski area is about 2 km from the hotel, and Sofia International Airport is a 20-minute drive away. Plovdiv Airport is approximately 150 km from the hotel.The building is a cultural monument which was turned into a historical city hotel in 2004 and renovated in 2008. The hotel has 16 rooms and is the ideal place for any city trip, combining its central location with bright and elegant rooms and a range of modern facilities. Guests are welcomed into a lobby with a 24-hour reception and check-out service. Currency exchange facilities, air conditioning and a restaurant are also provided.Each room in the hotel is decorated in a boutique style and fitted with a double or king-size bed. All of them feature en suite bathrooms with bath or shower and hairdryer. In-room facilities include cable TV, minibar, telephone, radio, Internet access and a safe. Individually regulated air conditioning is standard. Some rooms have a private sauna and hot tub.A continental breakfast buffet is served in the restaurant. With its nice atmosphere and rich choice of traditional and innovative cuisine, it is also the ideal place for lunch and dinner.The hotel offers transfer from the airport which is subject to a charge. The Budapest is a comfortable city hotel which enjoys a great location in the centre of Sofia. It is very close to the main train and bus stations and just five minutes' walk to the centre of the city with its charming sights, many shops and business life. Sofia Airport is 15 km away and Plovdiv Airport is approximately 149 km from the hotel. The hotel boasts Standard rooms are designed in soft pastel tones equipped with modern in-room facilities, lobby bar and a restaurant. 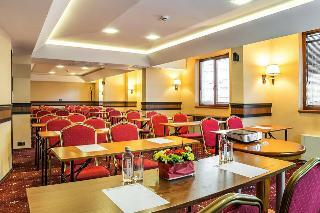 The hotel is a perfect choice for travellers who are visiting Sofia for business or leisure. A brand new five star hotel with a boutique feel, All Seasons Residence is full of charms.Pairing eye-catching modern design with friendly service and luxury touches, this boutique retreat is made for exclusive business and leisure trips.Step inside to discover striking contemporary interiors, where bold furnishings are balanced against an elegant neutral colour scheme.